In late 2016 and into 2017, the Bar Council took the lead in defending the independence of the judiciary when judges were branded as ‘Enemies of the People’ in the wake of the High Court ruling in the Article 50 litigation. 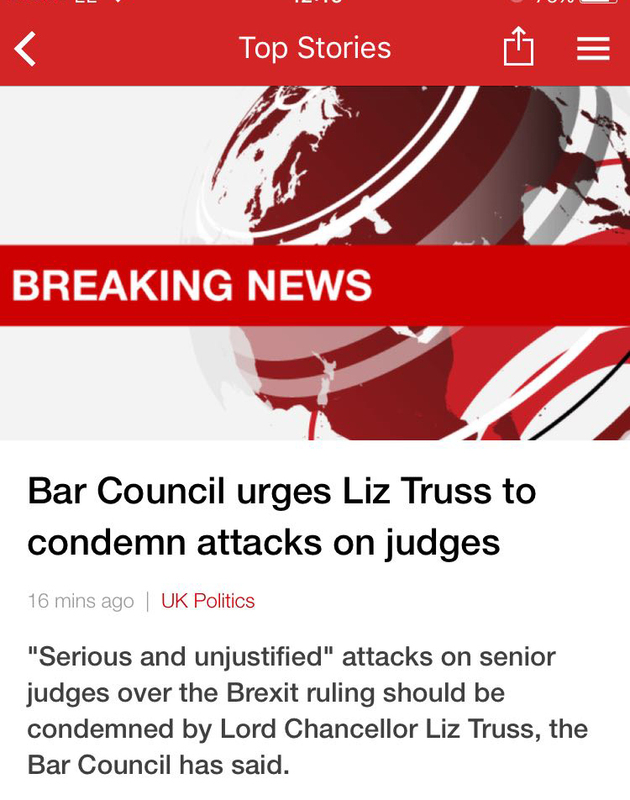 The Bar Council immediately passed a resolution to condemn the attacks and called on the Lord Chancellor to make a public statement in response. The Chair of the Bar (at the time) Chantal-Aimée Doerries QC appeared on broadcast media including BBC News, Sky News, BBC Radio, Channel 4 News and Channel 5 News to name a few, as the Bar Council’s stance led the news agenda. The Bar Council’s intervention attracted widespread support from the Bar and extensive media coverage throughout the following week. The then-Lord Chancellor subsequently expressed her support for the independence of the judiciary.